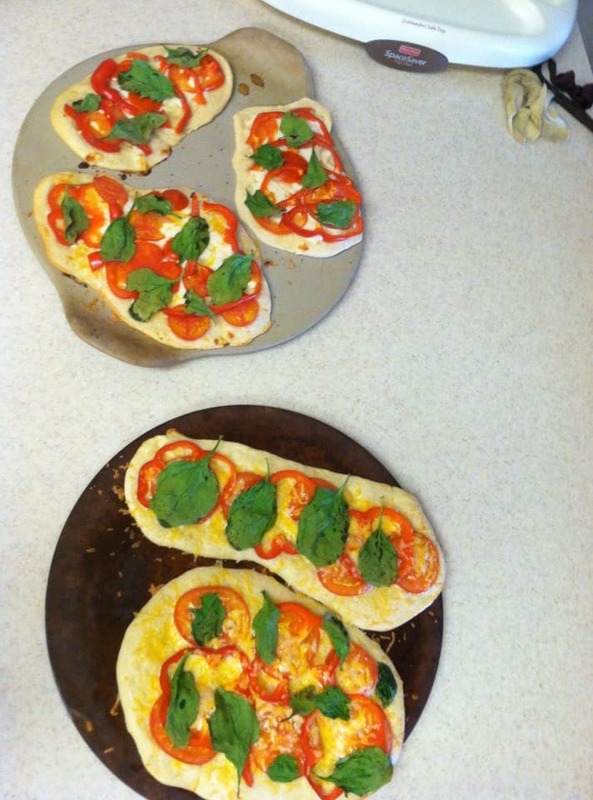 Greatest idea: I used the naan recipe (click here to see it) and placed them on pizza stones. Then I added garlic, ghee, cheese, sliced tomatoes and red bell peppers, spinach, organic Italian seasoning. I put them in the oven for 15 min at 450 (turned oven on when I put them in, so 15 min total). Voilá! Delicious homemade thin crust personal pizzas!